I had the pleasure of going to watch Kim’s Convenience last week with my hubby and a couple of friends at the Arts Club Granville Island Stage. A production previously written and first introduced as a workshop with Toronto’s fu-GEN Theatre Company, this play written by Ins Choi became a huge success after appearing in the 2011 Toronto Fringe Festival. 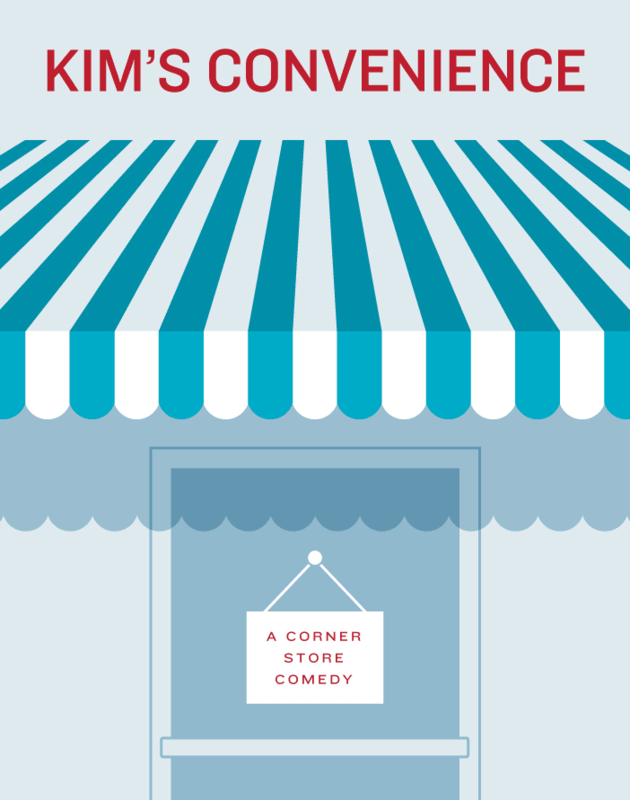 Ins Choi takes us on a journey of a Korean family that owns a convenience store in Canada and the trials and tribulations of an immigrant family dealing with generation gap and cultural issues. I really enjoyed seeing the detailed set of the convenience store – down to the different types of chips and chocolate bars on the shelfs, and the cash register til at the front. 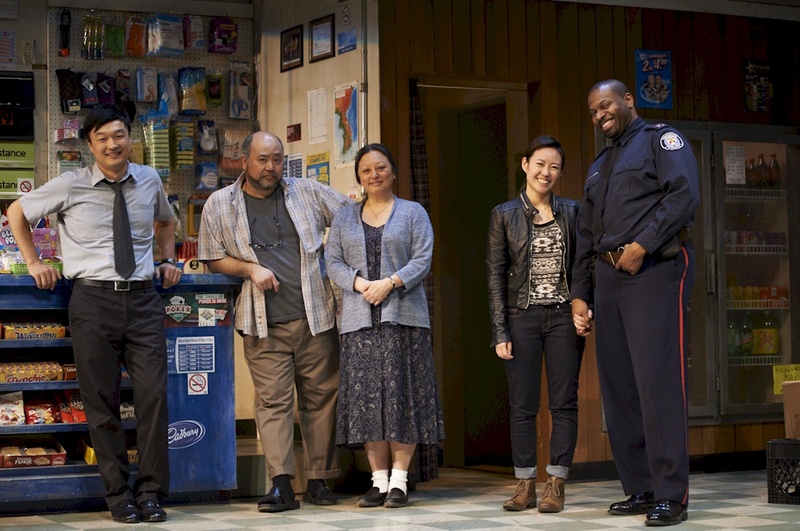 As a child who was born and raised in Canada, growing up to immigrant Chinese parents who owned a convenience store, this play hit close to home. At the beginning of the play, we learn that Mr. Kim, the patriarch of the family runs a small convenience store where he tries to push the latest Korean energy drink onto his customers. Played by Paul Sun-Hyung Lee, Mr. Kim is the key figure in this story, a stubborn, traditional Korean father, who can produce a funny punchline but also can be quite an angry and stern parent to his daughter, Janet, who fights with him constantly. Ins Choi also stars in the show, playing the delinquent son that moves out of the house and finally comes back years later. 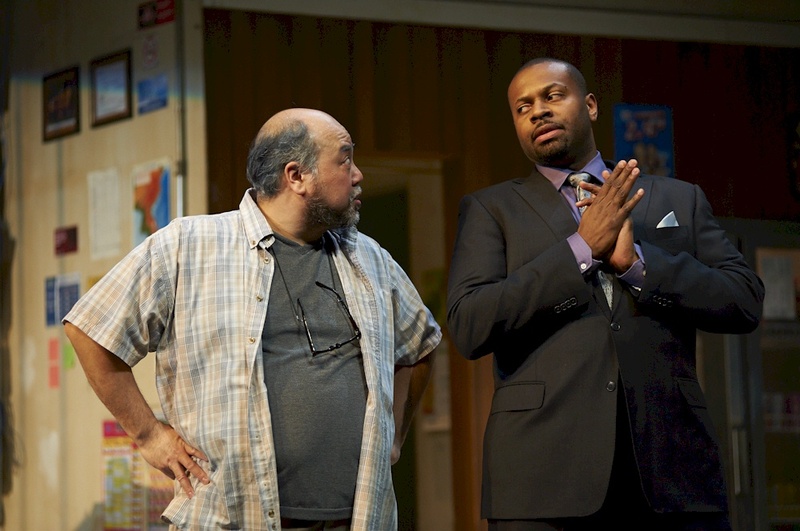 I particularly enjoyed the banter between Mr. Kim and the characters played by Andre Sills (who plays 4 different characters in the play). This show brought me back to the days when my parents ran their store, and I too had to face similar conversations to what Janet and Mr. Kim had – arguments about working in the store, dating, and breaking down the walls of tradition to live in a Canadian-Western culture. To any Asian-Canadian who experienced growing up working in a store/restaurant/small family business will relate and find humour in this play. I really enjoyed this play and encourage everyone who’s interested in plays, in particular Asian-Canadian plays, to go out and catch this show before it ends. Thanks for the corrections. I will make the corrections.